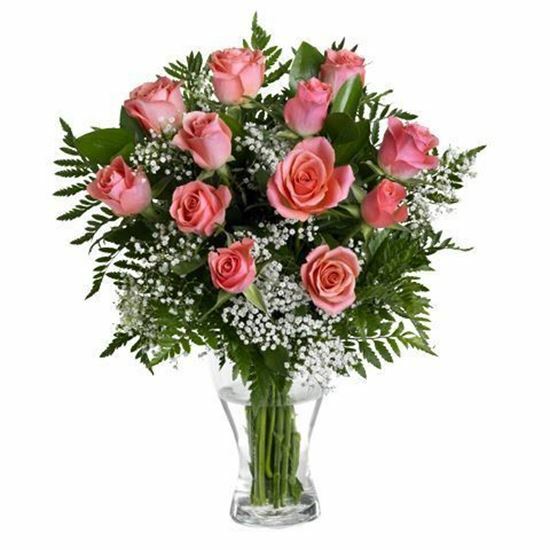 Romantic flower bouquet with pink roses, baby's breath and greenery. Romantic mixed roses bouquet with pink roses, baby breath and greenery. Average length of the roses stems is 35 - 40 cm.